Growing concerns of bedbug infestation in the dormitories and hostels of some schools across the country have compelled management of Inesfly Africa Limited to roll out a programme to curb the menace. The company is therefore set to undertake a fumigation programme in selected educational institutions. It has also designed a 500ml bedbug solution exclusively for students. Explaining the rationale behind the strategy, chief commercial officer at Inesfly Africa, David Afugani, said the plight of students had always been an integral part of Inesfly’s vision, and that the company could not but do whatever that needs to be done to ensure that they (students) are free from insect-pests so that they can carry on with their learning activities. “Students need a very conducive learning environment devoid of the fear of insect bites and vector transmitted diseases. Sadly, this is not the case, and very soon, situation will get out of hand if nothing is done. Inesfly Africa has the one-stop solution to fighting bedbugs and other insect-pests, and we believe that while liaising with the relevant stakeholders to deliver our promise, we can, in the meantime, meet students half-way in addressing the crisis,” he told this paper in an interview. Two weeks ago, Inesfly Africa painted 10 CHPS compounds in 10 districts of the Greater Accra Region, adding to the number of district, regional and private hospitals treated by the company. The company has also in collaboration with the Accra Metropolitan Assembly, drawn a programme to ensure that public toilets in the capital city are rid of insect-vectors. With the current campaign to reach out to students with the 500ml bedbug solution, Inesfly Africa is certain that that would significantly curb the spread of bedbugs in schools and reduce the risk of onward transfer to the homes. 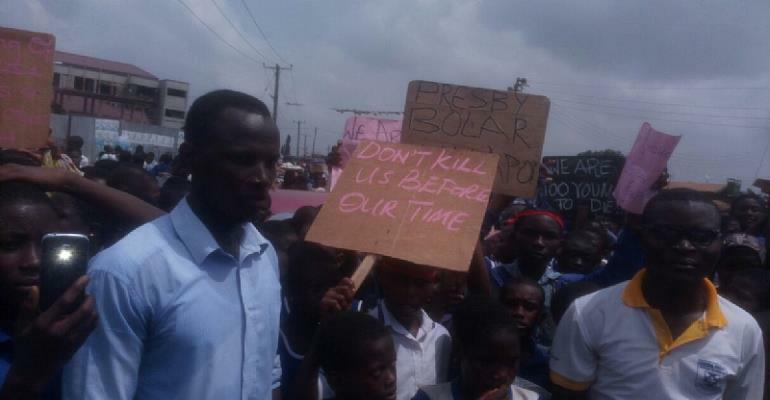 Pupils of the Ashaiman Presby A and B basic schools, are appealing to the Ashaiman Municipal Assembly to close down a major refuse damp which is very close to the school. According to the pupils, they have no choice than to go home earlier than the normal closing time due to the smoke that emanates from the dumping site. Apart from that, they say they have to put up with house flies in their classrooms as a result of the proximity to the dumping site. The pupils who spoke to Citi News noted that, the situation makes learning difficult and uncomfortable. A teacher who spoke to Citi News on condition of anonymity also noted that, they have petitioned the Municipal Assembly several times but to no avail. 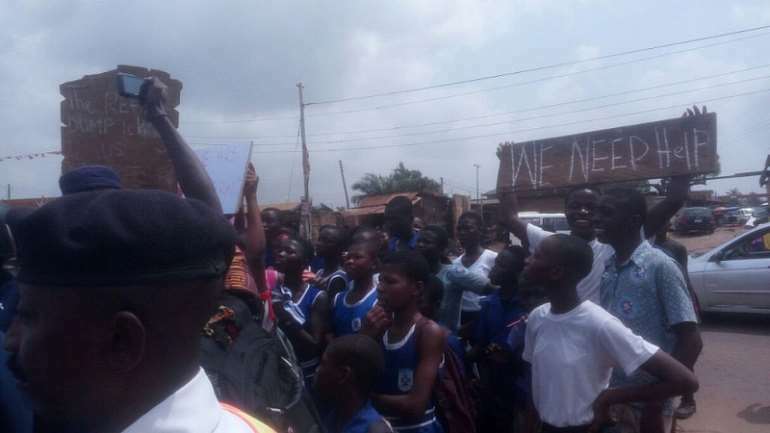 Meanwhile Citi News has gathered that the pupils last week staged a mini demonstration when the Greater Accra Regional Minister Ishmael Ashitey paid a working visit to Ashaiman. They appealed to the Regional Minister to as a matter of urgency order the Assembly to relocate the dumping site since it is having a negative effect on their health. t is true that potential economic benefits (employment, tax revenues and development outcomes) can be derived from small-scale mining sector in Ghana. Nevertheless, the way small-scale mining sector is being managed in Ghana, it does not look favourable. The sector is being managed abysmally. Apparently, the laws which govern the small-scale mining sector are somehow confused and inconsistent. Indeed, all the attention is basically being focused on the large-scale mining sector, leaving the small-scale mining sector at a substantial disadvantage. To be quite honest, the regulators laissez faire leadership style may cost the nation dearly in the long run. Having said that, in order to achieve the maximum benefit, it is extremely important that society as a whole must have an interest in promoting and strengthening the role of small-scale mining in national development. It must also be emphasised that societies at large may be both positively and negatively affected by small-scale mining. The positive effects may include the promotion of efficient resource use, such as extracting ores from small deposits or from tailings, and thus providing the rural folks with incomes. On the other hand, the negative effects may include, among other things, environmental degradation, water pollution, the release of mercury and other toxic and hazardous wastes into the free environment, and unforeseen social tensions that can lead to civil unrest. And more so overlapping and conflicting laws, or laws and regulations that are not based on an understanding of the local context of small-scale mining, often hinder and erode the sector’s potential to contribute to sustainable development. For instance, it is somewhat difficult to establish whether if the interests of the indigenous people are consistent with those of the small-scale miners. And what is more, while some indigenous people may secure their livelihoods from small-scale mining, there may be other instances in which non-indigenous small scale miners (Chinese illegal miners) threaten the livelihoods of the indigenous people. “The involvement of the Chinese has changed the dynamics of small-scale mining,” the head of the Ghana Chamber of Mines, said in an interview. Worst of all, some greedy and unpatriotic Ghanaians are colluding with the Chinese illegal miners to forcibly dig our natural resources, destroy the environment and terrorise the rural folks. Disappointingly, this illegal practice is making nonsense of the essence of the enactment of the small-scale mining laws. Apparently, the small-scale mining law was promulgated to allow native Ghanaians to engage in small-scale mining legally, with a view to engaging them in a meaningful employment. 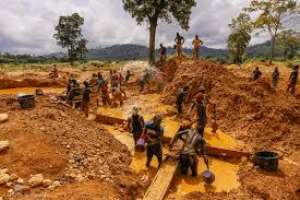 However, some obdurate Ghanaians have been abusing the small-scale mining law over the years. Sources have it that, often, Ghanaians would secure plots of land, and then go into partnership with the Chinese who have funds to bring in the bulldozers and all the other big equipment. Obviously, there are lapses in the 1989 small-scale mining law (PNDCL 218). For example, the law states categorically that no licence for small-scale gold mining operation shall be granted to any person who is not a citizen of Ghana. Strangely, however, the same law allows a Ghanaian licence holder to seek logistics assistance from their foreign minions. Consequently, some Ghanaian licence holders would more often than not go beyond the stated jurisdiction and involve the foreigners in the mining operations. Indeed, the epochal violations of the small-scale mining law go to show that there is a break down in the sector. To me, the sector requires overhaul. Let us face it, better data and policies are needed to get the sector back on track. So, going forward, the 1989 small-scale mining law has to be amended. 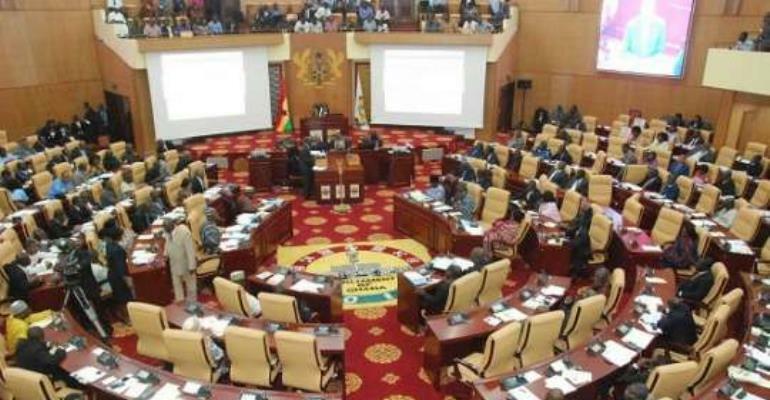 The amendments must make it unlawful for any Ghanaian to transfer small-scale mining licences to their foreign minions, and must also prohibit allocation of mining lands to the illegal miners. The fact of the matter is that at the moment, the small-scale mining sector is in a complete mess. Thus, I will venture to propound that if possible, President Nana Akufo-Addo must suspend all the activities in the small-scale mining sector whilst the authorities restore sanity into the system. Even though my commendation may seem extremely draconian, I am afraid, if proper care is not taken, some greedy and obnoxious Ghanaians will continue to denude the environment, pollute the water bodies and inadvertently poison Ghanaians with mephitic substances such as mercury and cyanide. In the midst of the huge proliferation of Mineral Water Companies, the Ministries of Health, Commerce and Industries, Public Works and the Environmental Protection Agency (EPA) are soon to embark on a vigorous inspection campaign. Making the disclosure over the weekend at his Health Ministry’s Office, the Director for Division of Environmental and occupational Health, Director Dehwhen O. Yeabah said his division has the mandate to ensure the safe of drinking water in line with the public health law and the inspection will be done in collaboration with the Association of Liberia Water Producers (ALWP) to identify wanted companies and sub-standard companies. Director Yeabah said the concern of sanitation at water producing cites have been key to his department and the ministry, adding that they have been working with couples of those companies to ensure that waste management is improve. According to him, they have already served notice to several of those companies on the basis of waste management, “We have been working with Aqua Life, Oasis, York and couple of other water companies to have collaboration in improving the sector as it relates to sanitation, though they have not have the situation where companies have fail to corporate. 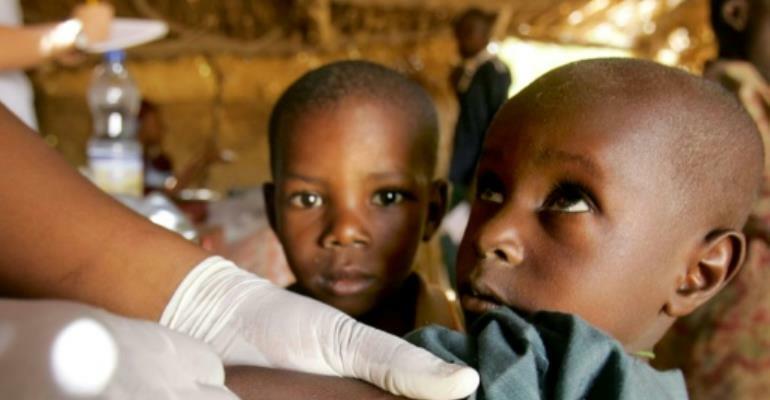 “We know that some of those companies are operating illegally in corners that we are not know of, but what method we have formulated is to form a taskforce which we have already developed the terms of reference what we will be during in the coming two weeks is to operationalize that task force which is comprised of the Ministries of Health as head, EPA and Commerce,” he said. The health authority maintained that they are in the know that those legal mineral water companies are being strangulated by those companies that are not register with government, adding that they flood the market with alleged contaminated and polluted water, even though he said he cannot defense those legal companies, but he said the ministry has been working with them the they have improved they facilities. He said during their inspection campaign, those illegal water companies will be ordered closed down, “But if you are legal companies but your facility is not up to standard, we give you time and if you fail to prepare your place after during our campaign for the second time, we ask the court to close you facility. Director Yeabah mentioned that good working relationship with the Association of Liberia Water Producers (ALWP) and on the basis of that, they are asking nonregistered companies to register with the ALWP, with that, he said it will be easier for the ministry to identify them or else, they will be considered as splinter group. 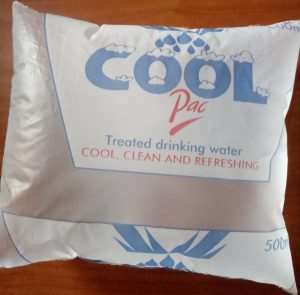 It is now evident that Cool Pac sachet water, the 29 percent sachet water consuming public patronise, might have been produced by one of numerous sachet water producing companies in the country. All Cool Pac sachet water bagged in Voltic branded bags are not produced by one single company, and, therefore, choice, as a right of the consumer, has thus been thrown to the dogs. Discreet Chronicle investigations indicate that about 19 and more companies are producing 500 ml Cool Pac sachet water under the authority of Voltic Ghana Limited in the Ashanti regional capital alone. The said manufacturing companies are said to be operating under a franchise obtained from Voltic under the nose of Food and Drugs Authority (FDA), which has duly approved such deceitful productions. The Foods and Drugs Authority (FDA), which is the regulatory body mandated by the Public Health Act to regulate the safety of food and drugs and others, has indicated that it has insufficient officers to conduct regular checks on sachet water producers. The Chronicle has evidence that the franchised companies are producing 500 ml Cool Pac sachet water and bagged in Voltic branded receptacles for marketing and distribution in the metropolis. Indications are that any Cool Pac sachet water a consumer buys is produced by one of the over 700 sachet water producers in the Ashanti Region under a Ghana Voltic Company franchise, and not necessarily coming from the plants of Voltic Ghana Company. Consumers, who drew the attention of The Chronicle to the seeming deceit by Voltic Ghana Limited, said companies, which bag their products in in bags marked Voltic Cool Pac, have called on the Food and Drugs Authority (FDA) to take immediate steps to correct the anomaly, or face legal action for overseeing such deception at the expense of the health of the public. “It is unthinkable for one product (Cool Pac sachet water with same branding and labeling) to be produced by as many as 20 companies under the authority and approval of Ghana Voltic Company and FDA respectively,” aggrieved Mrs. Belinda Fob, a business woman in Kumasi, complained. She intends taking action against the FDA soon. Professor Kwabena Frimpong-Boateng, the Minister of Environment, Science, Technology and Innovation, has expressed worry about the safety of most mosquito coils used in homes in the country. He said most of the mosquito coils which have been banned in other parts of the world have found their way into the country and were being used in homes with disregard to safety instructions. “Pesticides are a big problem, and I have personally seen some mosquito coils and sprays that are banned everywhere else in the world on the Ghanaian market. 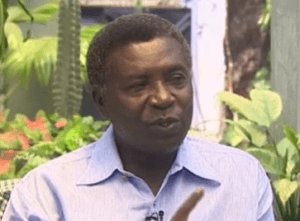 “We know that some of the pesticides contain substances that are dangerous and toxic to marine cognisance … and we are burning these things and inhaling them,” Prof Frimpong-Boateng said during a meeting with officials of the Environmental Protection Agency in Accra. The meeting was part of a working visit to the EPA to fraternise with staff and management. He said the instructions that went with the mosquito coils required that when it was lighted in a room, the doors and windows should be closed for some time after which they were opened to allow air into the room before one could sleep in it. However, the adverts say different things; sometimes urging people to sleep with the coils because they smell nice and one could inhale the smoke. He said: “Our fight against the mosquito should start from the environment – we should get rid of the breeding sites so the mosquito will not get a chance even to multiply. Clean environment is very important”. Prof. Frimpong-Boateng said it was only a clean environment that would help clear mosquitoes and not pesticides which also had their negative effects on people’s health. “We have the obligation to change this country and if we are not able to do it I don’t think we can expect any other generation to do it… EPA has a strong hand in this exercise in helping keep a clean environment,” the Minister said. “If we have the discipline to clean the environment we will have the discipline to improve our industry, improve agriculture and everything else,” he said, and called on the public to also separate waste in the homes.